While many people are reporting that they choose to vape to help quit smoking, it must be done carefully for the ideal impact. Otherwise, it could be a waste of time or end up creating a cross-dependency where quitting one thing requires you to start using another. Nicotine levels in vape juice can be more tightly managed than smoking, which gives you a leg up. Here is everything you need to know about nicotine and its role in vaping. When you think of nicotine, you probably first think about cigarettes. Research around cigarettes has been so thorough that it’s completely uncontroversial to link cigarettes and cancer. The chemicals in cigarettes all play a different role when it comes to what makes them addictive and what causes cancer. The one thing that researchers agree on is that nicotine doesn’t directly create cancer. However, it has been shown to aggravate cancer cells. That means that once cancer is present, nicotine could make it worse when it is administered at extremely high levels. Nicotine is less linked to cancer as it is to the addictive aspects of cigarettes. When it is found in vaping, it can cause problems that smokers might be turning to vape in order to avoid. Nicotine can be a welcome additive in some respects because of the additional feeling it offers vapers. You should avoid getting a high-nicotine vape if you deal with problems related to blood pressure or your heart rate. The calming effect that you can get from nicotine could be offset if you have the wrong combination of health factors. The dopamine from nicotine can hit in just a few seconds, but it wears off soon, which means that some vapers might use more than smokers. It’s important to watch your intake. Are You Vaping to Quit Smoking? For some people who turn to vape juice as a solution to smoking too much tobacco, vaping can be a lifesaver. However, in some cases vaping can make things worse or just replace one addiction with another. Thankfully there are some vape juices that contain 0mg of nicotine, helping you enjoy what you like about vaping without forming a habit. Switching to an alternative for the sake of your health is a great idea. For some people, quitting cold turkey could be a challenge, making vaping with nicotine just a first step in their journey. No matter what your path is, there’s a vape juice to suit your needs. For people looking to quit completely, it’s recommended to start with a nicotine level that’s relative to what you already consume. However, there are people who enjoy nicotine as is. Nicotine as a powerful impact for people with nervousness or anxiety disorders. People looking to relax without the baggage of smoking cigarettes can find vape juice that offers what they’re looking for. Nicotine levels in cigarettes vary wildly from brand to brand and can even vary based on the time that cigarettes are manufactured and where. 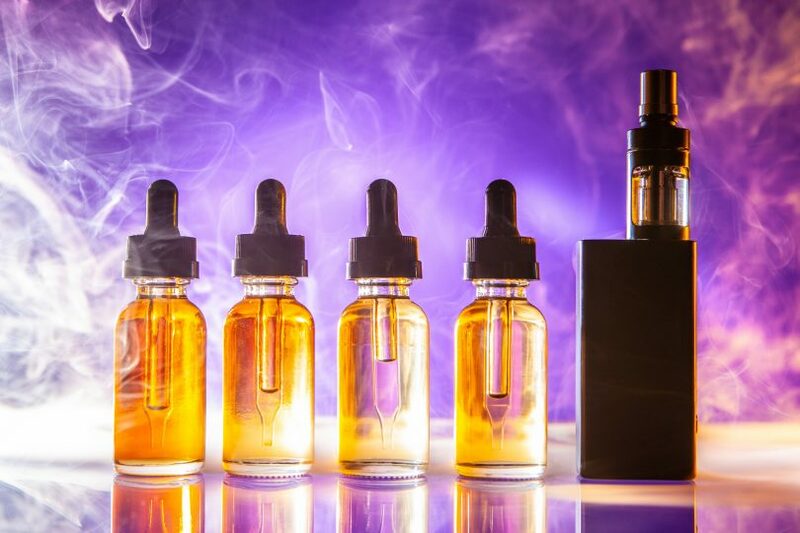 Vape juice has nicotine levels that can vary wildly from 0mg to even as high as 36mg/mL. This means that people who smoke unfiltered cigarettes can get twice the nicotine buzz they’d get from vaping. The average smoker who smokes a pack a day is going to go for a vape juice with around 12 mg. People who smoke far less often, just a few cigarettes a day, are often happy with 6mg of nicotine. The great thing about vape juice is that the concentrations are the same day after day. Short vape sessions can come and go, and vaping a higher concentration of nicotine during these periods might be preferred. For people who plan to vape for a few minutes at a time, a lower nicotine concentration might be better. If you start to feel uncomfortable with your vaping experience, then you should switch to a different nicotine level. This can make vaping much more relaxing and comfortable. If you’re looking for a nicotine level to suit your vaping style, think about how long your sessions last. If you work on a large campus and just grab a quick puff as you walk from building to building, you might want a higher concentration. If you like to puff while you sit and read on the porch, then choose a lower concentration. 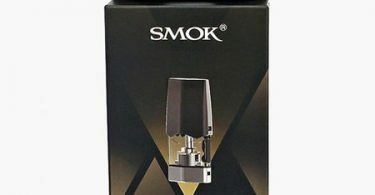 The way that most vape juice and refills work is that you can often switch out cartridges as needed. Rather than having to choose one way of vaping, you can switch it up throughout the day. If taste matters a lot to you, you might want to keep your nicotine low. High nicotine levels taste much harsher than the average nicotine level. It could be a harsher throat hit too, making you not want to sit back and enjoy the session for as long. It might take some trial and error to find the perfect balance for what feels comfortable to you. If you choose vaping because of the control you get over nicotine levels, you get the chance to enjoy the things you love about smoking with fewer risks. Rather than risking the addiction or exacerbating any potential illness, you avoid it when you cut the nicotine out or get better control over it. 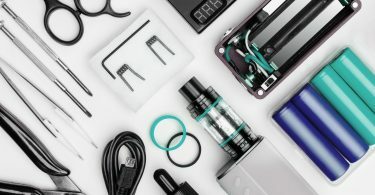 If you want to take your vaping up a notch, check out our guide to the latest gear out there.